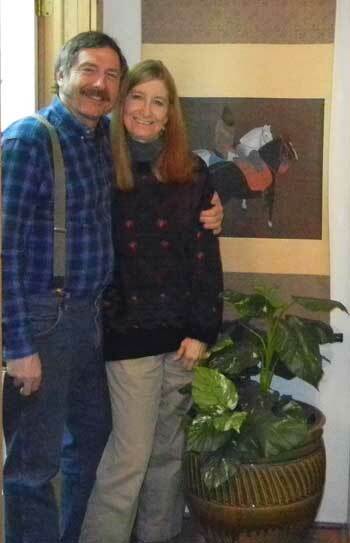 Robert and his wife, Christine, live on a former dairy farm, in one of the mountain valleys that surround Bristol, Vermont. 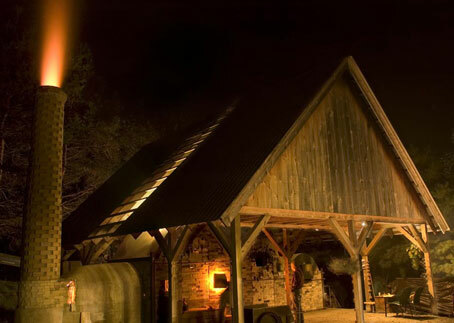 The barn serves as his studio and showroom and the 19th-century farmhouse is their home. Please come and visit our pottery. You will see Robert's Wood Fired, Salt Glazed, Gas Fired, Raku and Pit Fired pottery, as well as Christine's scarves and shawls. We are located on Vermont Route 116, half way between Bristol and Starksboro village. We are here most days, but if you are making a special trip, it is best to call ahead to set up a convenient time. 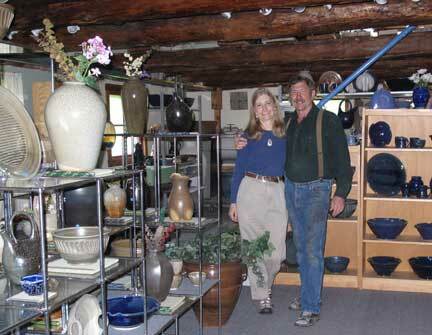 Most of Robert's Stoneware and Porcelain pottery is Wood-Fired in a Noborigama kiln. A Salt Glazed atmosphere is achieved in the second chamber of this Japanese-style kiln. The Pit Fired and Raku Pottery is fired in special kilns designed for these unique effects. Robert throws each piece of pottery individually on a potter's wheel. 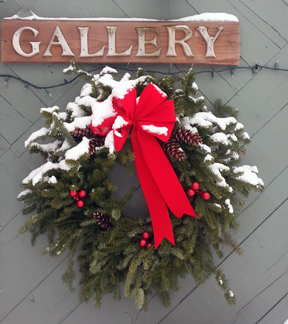 Call, 802-453-3778 for our daily schedule. 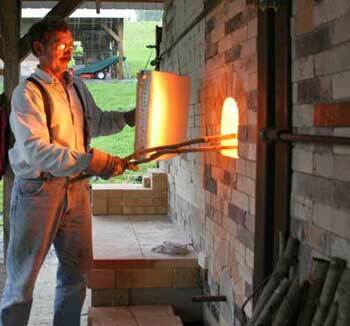 Robert fires his Noborigama, which holds 1500 pieces of pottery approximately once a year. Christine & Robert have always had a strong interest in history. They both grew up surrounded by antique photos, family members, and their stories. Robert complied his own family ancestry and to share the information he collected, he began putting his ancestor's images and stories on his handmade mugs. 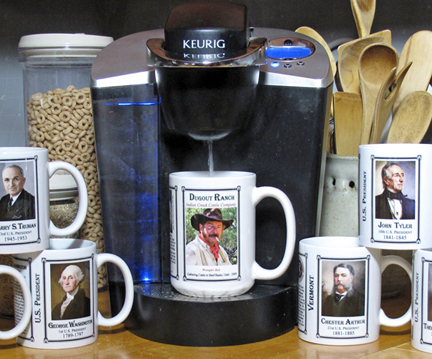 He decided to continue the process and created History Mugs a business focused on putting interesting historical biographies on mugs. We have produced many different series. Our diverse collection of over 600 biographies can be searched on our History Mug Site Map. 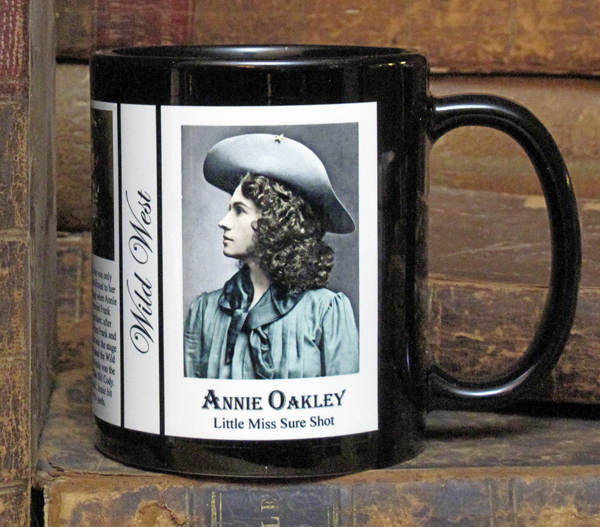 Please visit our History Mugs website to see what we offer. Find our History Mugs at the following locations. Gettysburg National Military Park, Gettysburg, PA. The Smithsonian National Portrait Gallery, Washington, DC. The Ethan Allen Homestead, Burlington, VT. The President Calvin Coolidge Museum, Plymouth, VT. The Sullivan Museum & History Center, Norwich University, Northfield, VT. The National Underground Railroad & Freedom Center, Smith & Hannon Bookstore, Cincinnati, OH.